First off, I'd like to say that I'm writing these posts in a way that assumes you have very little knowledge in mixed media. I want this content to provide anyone “walking in off the street” the knowledge to be able to create their first mixed media piece with as little pain as possible. In the first half of the 20th century, Cubist artists Georges Braque and Pablo Picasso combined art materials and techniques in assemblage works and called it collage. Many recognize these as the first mixed media art works. 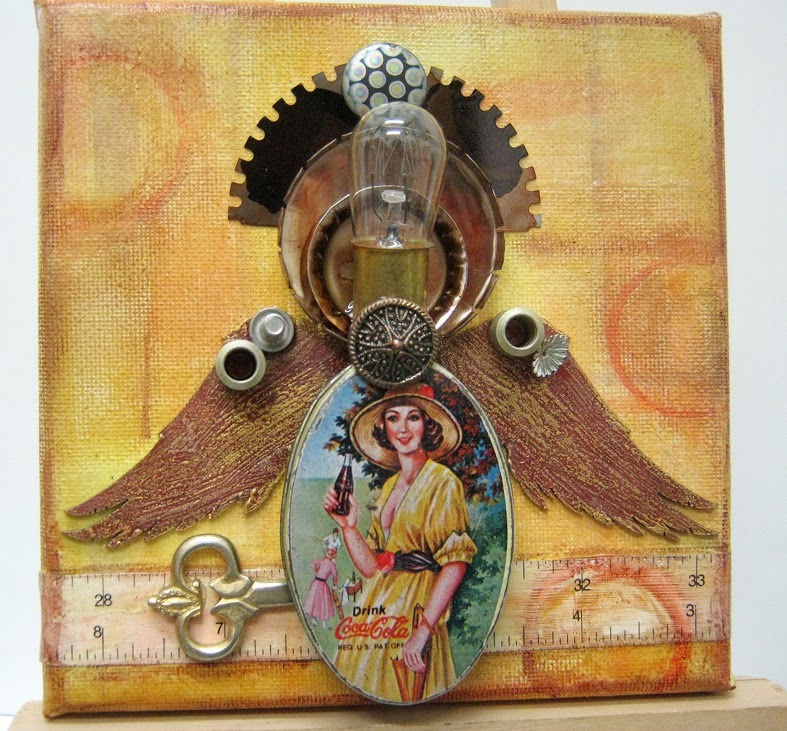 Mixed media art is a combination of two or more materials and techniques in a single project. It can be 2 or 3 dimensional and include traditional methods like painting and drawing combined with extended techniques like installation. Mixed media projects can be on paper or canvas but can also be sculptures or other 3D items. So, let’s get started with the 4 essentials you need to know about mixed media. I've found that most of the mixed media projects are created in a very similar way, and knowing what’s common between all of them will help you transition to different kinds of mixed media projects if you want to! For example, with the mixed media canvases knowledge I had obtained, it took me one or two failed attempts to create art journal pages and master it! That’s powerful stuff! Now, there’s a lot to say about each of these 4 items, so for today’s post I'll only be talking about item #1, Types of projects! Collage: is a technique of an art production, primarily used in the visual arts, where the artwork is made from an assemblage of different forms, thus creating a new whole. A collage may sometimes include magazine and newspaper clippings, ribbons, paint, bits of colored or handmade papers, portions of other artwork or texts, photographs and other found objects, glued to a piece of paper, board or canvas. The origins of collage can be traced back hundreds of years, but this technique made a dramatic reappearance in the early 20th century as a popular art form. 1. Choose a base for your collage. The base can be as simple as a piece of paper. Using a heavier paper is a good idea as you will be using a lot of glue. For the base of your collage, you can also use poster board, cardboard, canvas, an empty picture frame, or any other fairly flat item. 2. Collect the items to glue onto your base. Use your imagination, and anything you have on hand, to make your collage. Some of the favorite items I have used are found items, metal things, paper, photos, beads and chipboards. 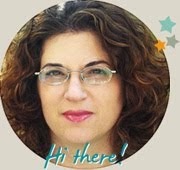 I get my stuff from craft stores, garage sales, thrift stores, flea markets and, DIY stores and industrial places. 3. Decide what glue to use. There is no glue that is the perfect option for all collage projects. The kind of glue you use will depend on the materials you are using and the results you want. Generally speaking the heavier the material the stronger the glue should be. I use Tacky Glue or Mod Podge for paper and E6000 for metal, plastic or 3d items or. Once you have your base, the items you will use to create your collage, and the appropriate glue, you can start making your project. I like to have an idea of a theme or message I want to create before I start. But, you can also just start gluing them down all over the base. Canvas Art: is a specific form of collage created on canvas that includes mostly but not exclusively wet mediums like paints, inks and sprays, images, paper and texture mediums. This is kind of a collage but it is not 3 dimensional and looks more like a painting. Artist Trading Cards (ATC): are miniature works of art about the same size as modern trading cards baseball cards, or 2 1⁄2 by 3 1⁄2 inches (64 mm × 89 mm), small enough to fit inside standard card-collector pockets, sleeves or sheets with the intention of swapping or trading it with another artist, not selling it. . The ATC movement developed out of the mail art movement and has its origins in Switzerland. Cards are produced in various media, including dry media (pencils, pens, markers, etc. ), wet media (watercolor, acrylic paints, etc. ), paper media (in the form of collage, paper cuts, found objects, etc.) or even metals or fiber. The cards are usually traded or exchanged. On the front of an ATC an artist creates an original work to showcase their art. It can be a one-off, part of a series, or a limited edition. On the back the artist puts their name, contact details, title of the ATC, number if it's a limited edition, and sometimes the date it was created. The whole aim is to be creative and communicate with other people being creative. Art journal page: Art journal is a visual journal in which you combine imagery, color and words to express yourself on paper. Art journaling has a long-standing artistic tradition. Artists through the centuries have kept notebooks in which they sketched, practiced, experimented, and recorded themselves. Vincent Van Gogh kept notebooks (and he used moleskins!). Picasso and De Vinci were two other prolific sketchbook keepers. You are in good company! An art journal can be a record of your daily thoughts, a travel journal, an exercise or diet diary, a dream journal, a place where for your goals or to-do lists, or... well, almost any record that you'd like to keep in a book or notebook. They become "art journals" when you add any kind of illustration or embellishment to the pages. If you want to explore art journaling and join in the fun check out my new online class : Creating 101: Art Journaling. Altered art: As the name implies, an altered item is a mixed media art created when an artist decides to take an item like an old or new book, house hold items or an everyday object and changes it in appearance and function. This is done through a number of mixed media techniques not limited to tearing, folding, cutting, painting, and collage. It's a broad term that seems to include many artistic styles or genres, but at its most basic describes a way of recycling, and giving new life to, all sorts of commonplace and functional (or perhaps even useless) items for ornamental and or functional purposes. A popular altered item is a book. In this form of mixed media artwork that changes a book from its original form into a different form, altering its appearance and/or meaning. Altered books may be as simple as adding a drawing or text to a page, or as complex as creating an intricate book sculpture. Antique or Victorian art is frequently used, probably because it is easier to avoid copyright issues. Recycling old books and using them as art journals has also become popular with some art bloggers and proponents of up cycling. For more book art inspiration visit my Book Art pinterest board. For more mixed media ideas and how to free videos check out my Youtube channel. Leave me a comment telling me which project is on your "to do" mixed media list. Join me tomorrow as I outline which materials you need to create a mixed media project and share what my absolute must items are. Lots of great information! 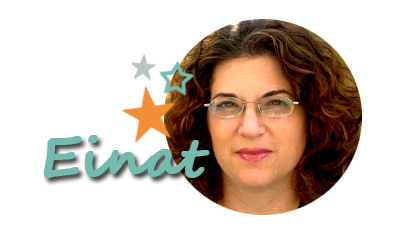 Thanks for sharing Einat!